Glen Pearson at his blog The Parallel Parliament cites Frye on Canadian liberalism in a post here. 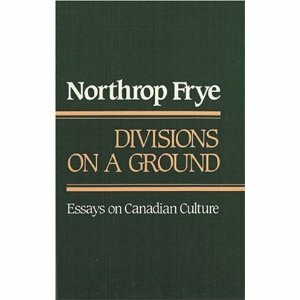 When Canadian Northrop Frye penned his seminal Divisions on a Ground, he used that very term to describe this very country he appreciated. While acknowledging the various diverse components struggling to make their way in Canada, he also affirmed that they were in one place – “On A Ground” – and that accommodations were being made. For that reason, his work was hopeful. The liberal temperament looks at it the same way. To live together, temperament matters just as much as policy. To be decent, tolerant, smart, accommodating, principled and generous has mattered just as much in this country as wealth. It is who we are and it’s best we get back to it. This entry was posted in Canada, Society on August 23, 2010 by Michael Happy. On this date in 1799 Napoleon left Egypt en route to seize power in France. This entry was posted in Anniversaries, Notebooks, Romanticism, Video on August 23, 2010 by Michael Happy.